Gerbera Daisies, or Gerberas, are currently one of the most popular flowers in the world. They have a full, abundant appearance and they are available in several bright and bold colours. Gerberas are perfect all on their own but you will usually find them accompanied by other floral beauties like Stargazer Lilies and Roses. 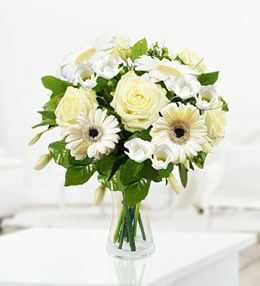 Gerbera Daisies symbolise purity, innocence and cheerfulness. 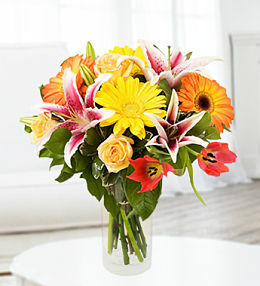 This makes them ideal as birthday flowers, wedding flowers, congratulations flowers and for many other occasions. 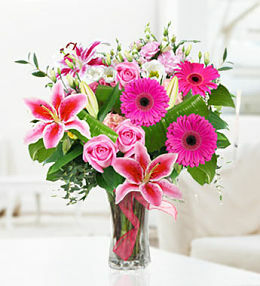 They also have a way of brightening up any room which is why they are often sent as a Get Well Soon gift. Order your next Gerberas from Prestige Flowers and our team of professional florists will ensure that you receive the very best bouquet at right price too!